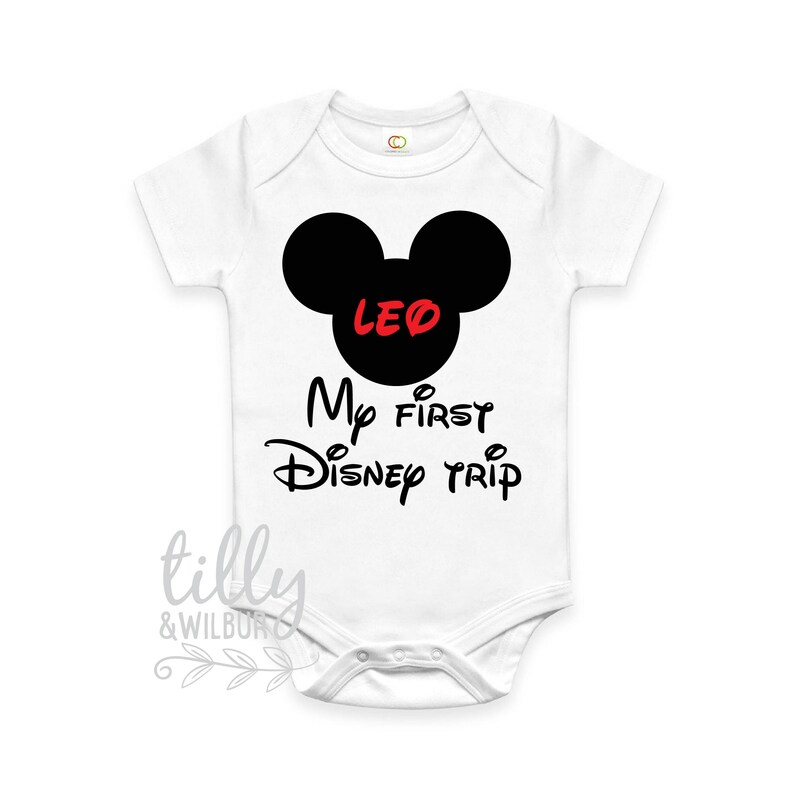 My 1st Disney Trip baby bodysuit for your little one to wear on your family holiday. To make this extra special it is personalised with the wearer's name! Printed on gorgeous quality bodysuit with an envelope neck and triple stud closure for easy change times... and let's face it, if you're at Disney you won't want to spend too long in the baby change room! 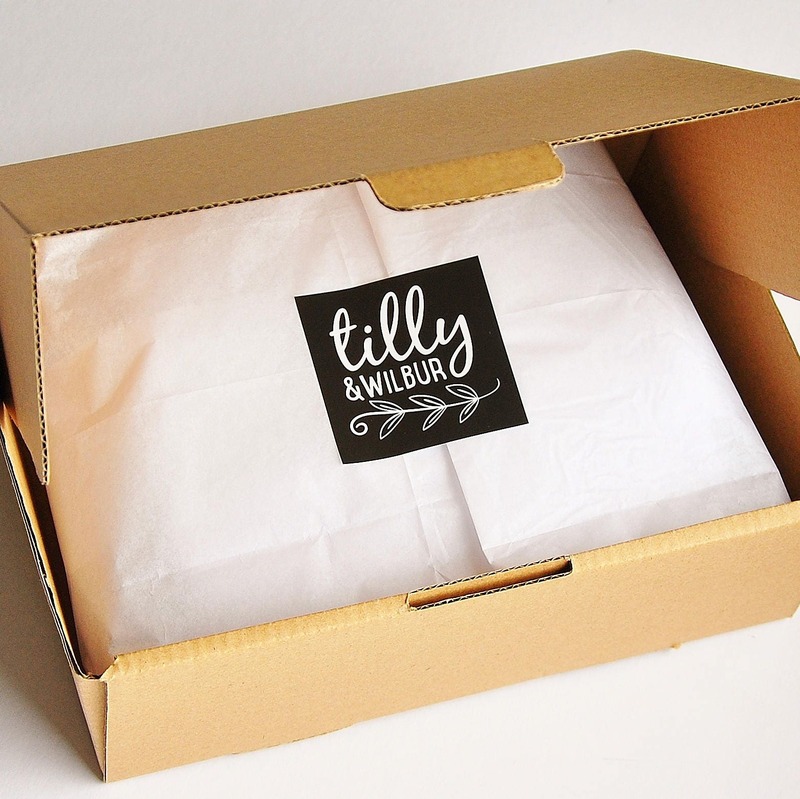 I’m Sarah, owner and creator at Tilly&Wilbur. I love sausage dogs and cake! I’m also a big fan of fair trade practice and am passionate about providing you with wonderful customer service. I want you to make a purchase you can feel good about so I use organic cotton clothing (as much as possible), I design with passion, print with great care and package your order with love. I use post consumer recycled products and I recycle just about everything. Now that’s enough about me! Yes please – I love doing these - almost as much as I love sausage dogs and cake! If you’re on the website click on “Request A Custom Order” under the image above or if you’re using the app click on the Tilly&Wilbur logo then scroll down to “Contact” and let me know what tickles your fancy. No not me, your new item! It’s simple, don’t let it be worn thereby ensuring it will never need washing! Jokes aside, all items are machine washable. Don’t soak, tumble dry or iron directly on prints and Bob’s your uncle! I use standard Australian sizes and stock a range of colours and styles. Most designs can be applied to any garment so please send me a message if you would like to explore other options for a design you like. Not in Australia? Our sizes are based on age so if your child is 7, a size 7 is the way to go. All orders, including international, are sent with tracking. As a general guide, delivery times are 2-7 business days for domestic orders and 2-3 weeks for international orders. If you require your order in the flashest of flashes please select the Express Post shipping upgrade.All designs are handmade to order and therefore may not look identical to the provided image. If you have any questions about this, please send a message.